The White House has relinquished its efforts to grade colleges and universities. The announcement came during President Obama's weekly address this weekend. The ambitious plan to maintain a college scorecard has been replaced with a more modest offering that will publish open data on individual institution costs, graduation rates and student debt and earnings, among other information. The administration emphasized that the new program was "designed with input from those who will use it the most — students, families and counselors." But the goal remains the same: to help those users identify "which schools provide the biggest bang for your buck." The original notion for a college scorecard was first broadcast during Obama's 2013 State of the Union address. At that time, the intent was to rate higher education institutions on five key indicators to give each an overall score for simple comparison. When the original site appeared in 2014, it drew the ire of many campus leaders who considered the evaluations already available through third-party sources such as U.S. News & World Report's annual College Rankings or the newer Brookings Institute ranking sufficient to the job. Besides, noted some college presidents, the criteria for such a scorecard would encourage schools to emphasize degrees backed by traditionally high earnings over others that pursued non-monetary missions. Obama responded to those criticisms in his Saturday speech by suggesting that while "the status quo serves some colleges and the companies that rank them just fine," it "doesn't serve our students well." However, the new college scorecard, located at CollegeScorecard.ed.gov, tries to take a less contentious approach. Gone are the scores. As a White House fact sheet explained, rather than relying on "static ratings lists compiled by someone who was deciding what value to place on different factors," the latest attempt will use technology and open data to make it possible for anyone ... to decide what factors to evaluate." The five most popular programs and a listing of available areas of study. 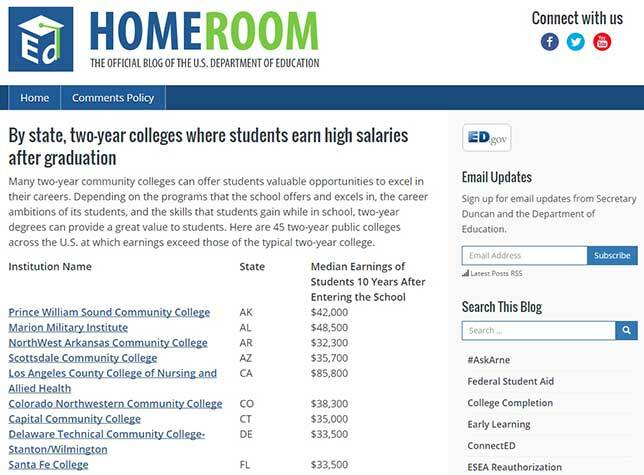 The site still includes lists of recommendations, such as "23 four-year schools with low costs that lead to high incomes" and state lists of "two-year colleges where students earn high salaries after graduation." The twitter community was mixed as well. "Welcoming the new #CollegeScorecard as a higher ed professional and parent," tweeted Janet Elie Faulkner. Nineteen-year-old John Aaron Salcedo concurred: "Finally, a non bias way to see which school is right for you. I'd trust the #CollegeScorecard > a 3rd party website!" David Sheridan, a "long time college financial aid administrator and college Dad" was a bit more cynical about the site's prospects: "How many 17yo's will really use the #collegescorecard? They all think they'll graduate and do well, no matter where they attend." The work on the newest iteration of a scorecard isn't over yet, Obama insisted. "We'll continue to improve [it] based on what we learn from students, parents, counselors and colleges themselves. The goal is to help everybody who's willing to work for a higher education search for and select a college that fits their goals." 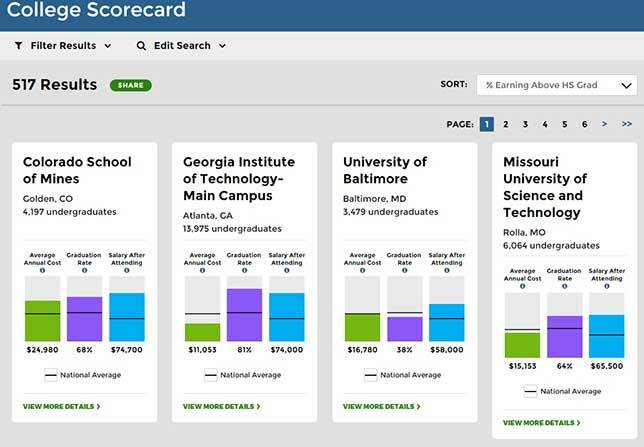 The College Scorecard resides online here.